Got a question for Northampton? 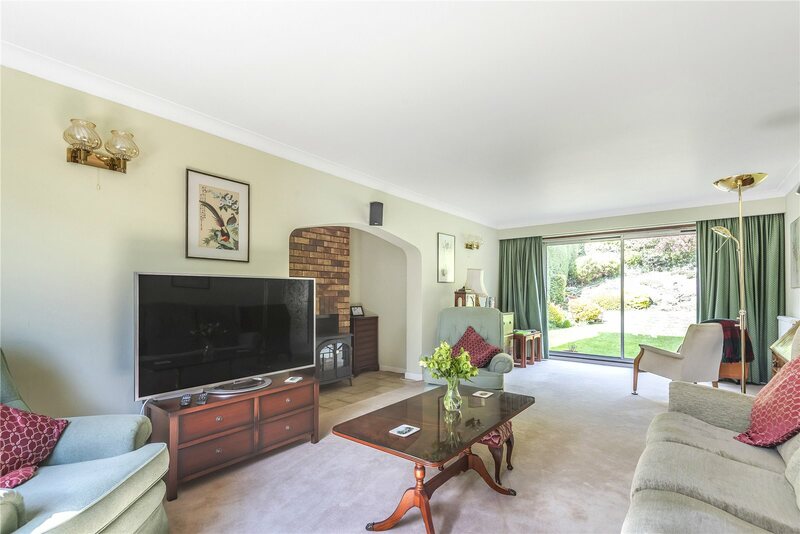 Highly sought after location close to the heart of Weston Favell Village. 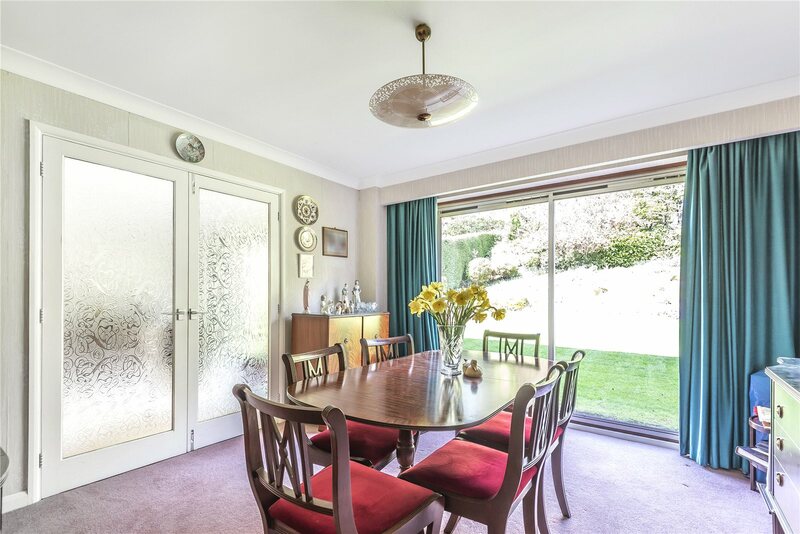 A well maintained property, though it is recognised that the house is in need of modernisation. 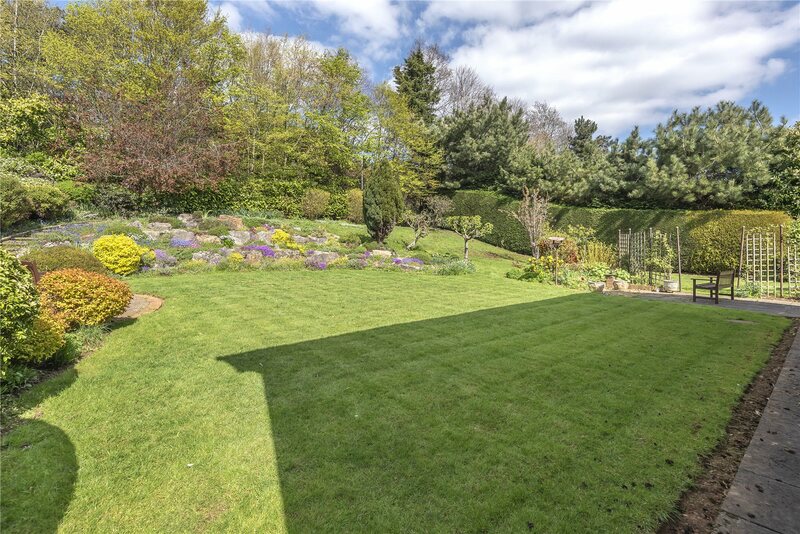 Lovely landscaped gardens and a generous plot in all of around a quarter of an acre. Well placed for communication links by road/rail and shopping facilities. Three principal reception rooms to include a 24 ft. long sitting room. Fitted kitchen with built in appliances and a separate utility room. Four bedrooms to include a master bedroom with en suite bathroom. Further shower room. 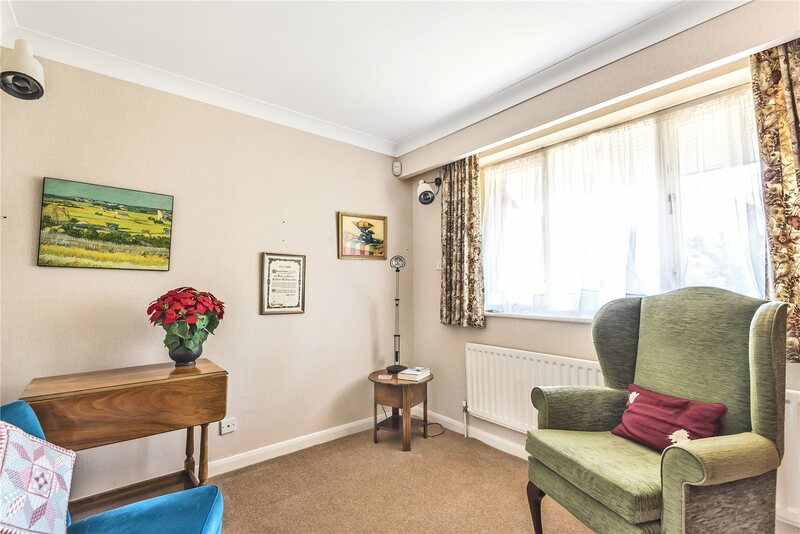 Viewing is highly advised in order to fully appreciate the situation and potential of accommodation on offer. 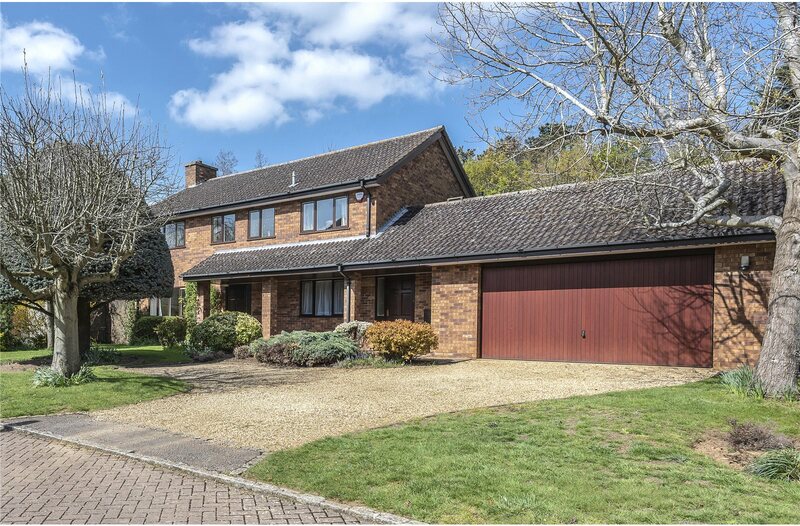 *NEW LISTING* A detached family home in a highly desirable location. 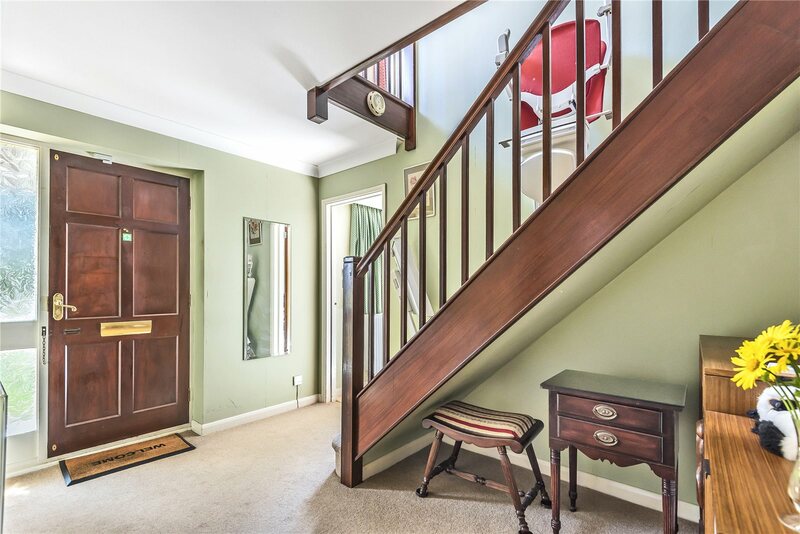 Hall, cloakroom, sitting room, dining room, snug/study, kitchen, utility room, 4 bedrooms and 2 bath/shower rooms. Garage and off-road parking. Garden. In all about 0.25acre (0.1ha). 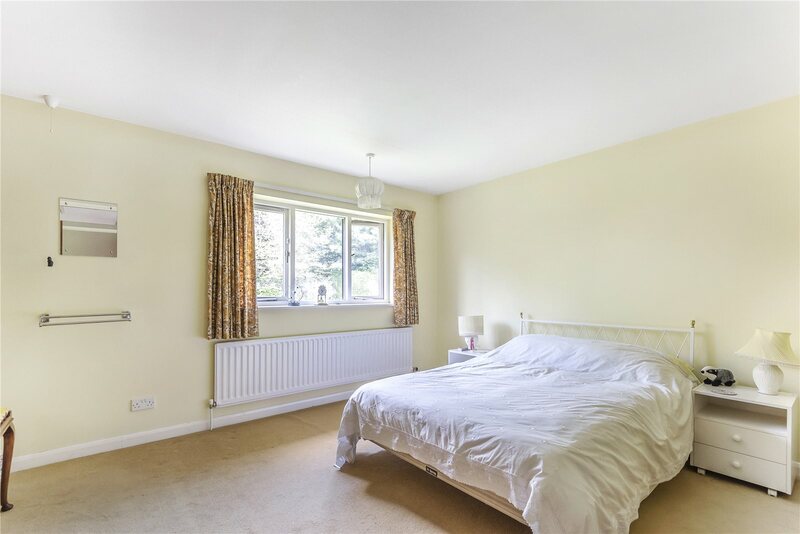 The property is located in a highly popular and sought after area close to the heart of Weston Favell village. 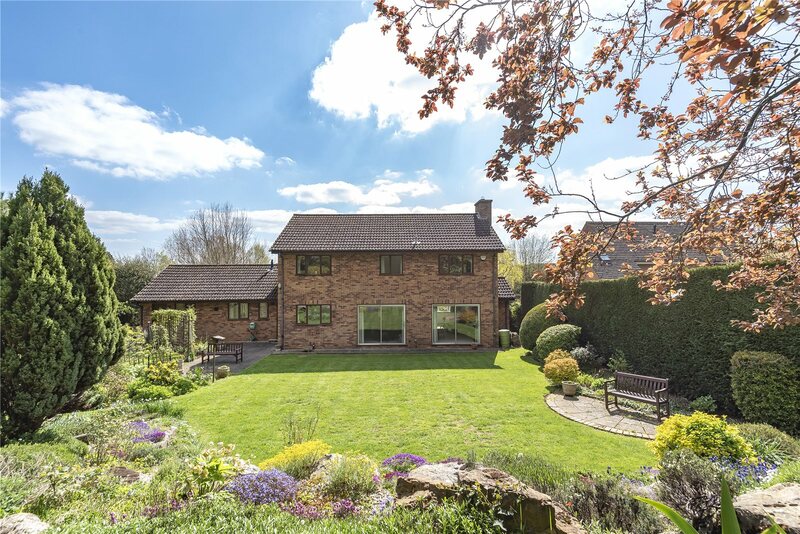 While well maintained it is recognised that the property requires updating, occupying a generous plot which in all extends to around a quarter of an acre. 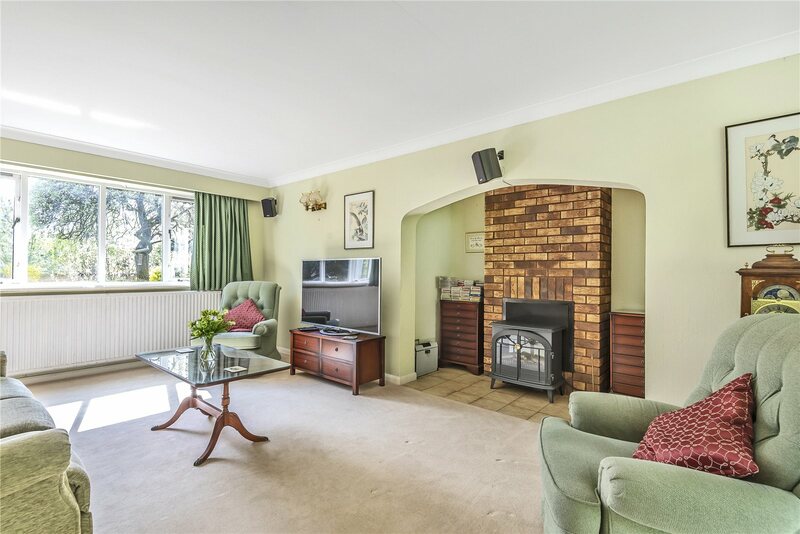 On the ground floor the accommodation comprises entrance hall with cloakroom off, sitting room with feature fireplace and patio doors providing access to the family gardens. There are two further reception rooms to include a dining room and study/snug. 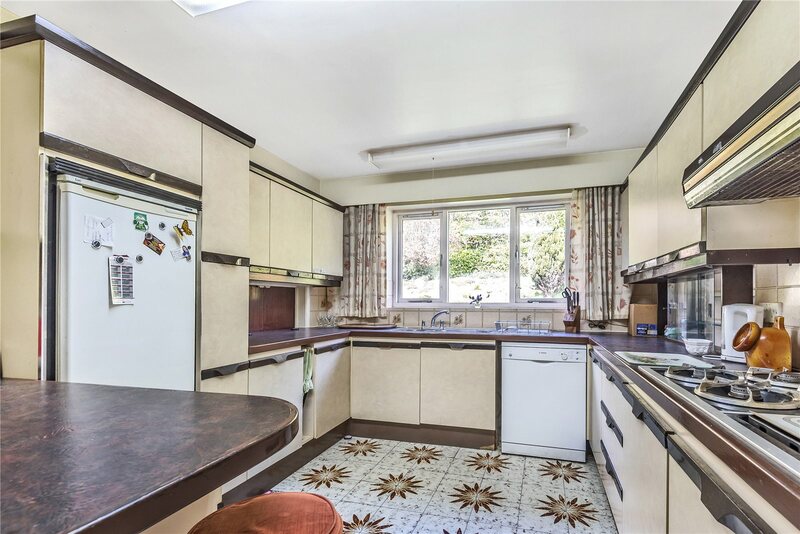 The kitchen/breakfast room comprises original range of units with more recent built-in oven and hob. There is a separate utility room and lobby which provides access to a double garage with workshop area. To the first floor there are four bedrooms to include a master suite with en suite bathroom together with a separate shower room. 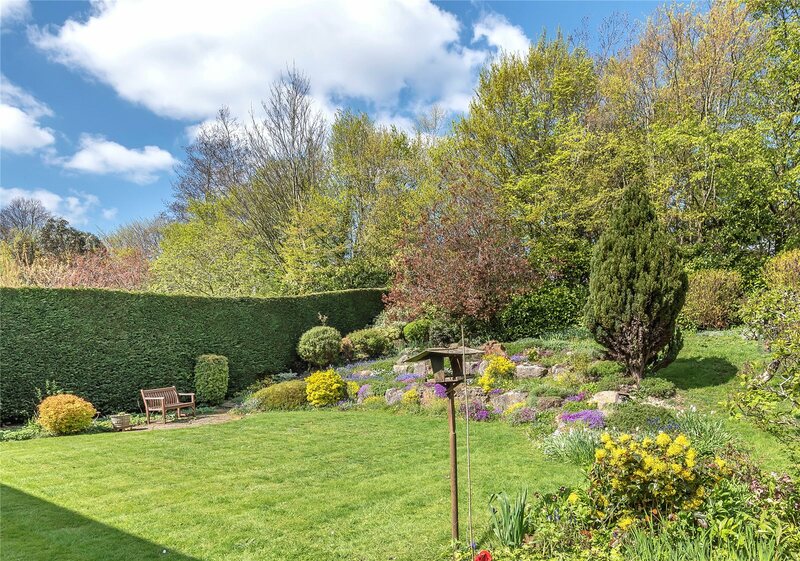 The landscaped gardens and grounds form an attractive setting to the property. 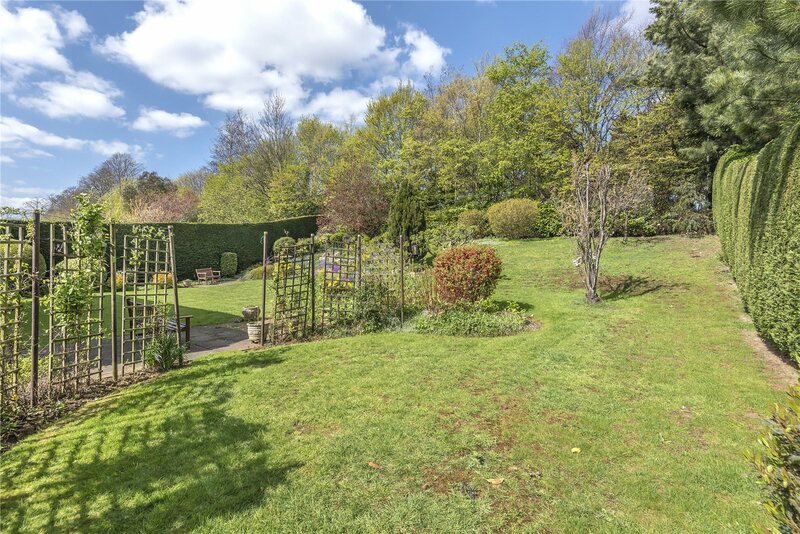 To the front of the house is lawned garden and driveway which provides off road parking. The principal gardens are situated to the rear of the house and are well stocked with flowers and shrubs. There are also paved patio and seating areas and garden store. 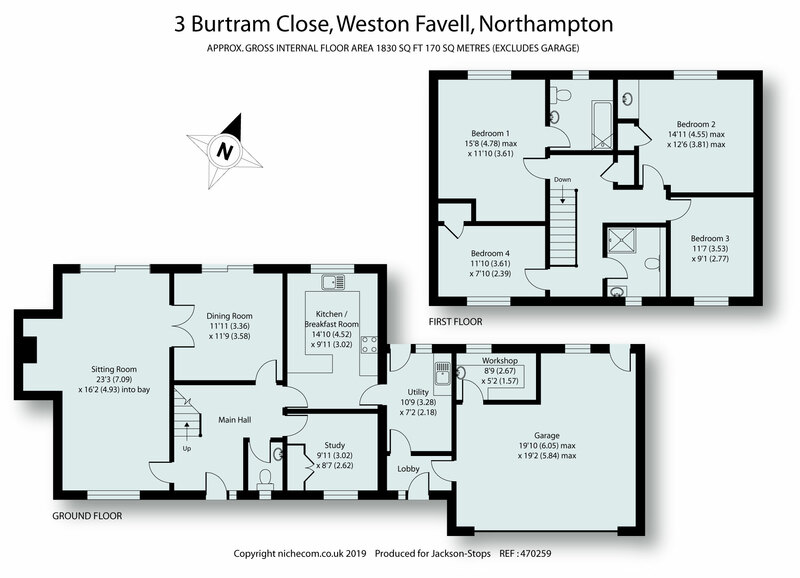 LOCATION Weston Favell village is widely regarded as one of the most desirable locations in Northampton. Within the heart of the village is a parish church, village hall, barbers, two public houses and County Tennis Club. Nearby is Weston Favell shopping centre with a more comprehensive range of facilities available in Northampton town centre itself. State primary and secondary schooling are well served in the area and private educational establishments include Northampton High School, Wellingborough School and Pitsford School. Communication links are excellent by both road and rail with train services available from Northampton into London Euston with journey times of around one hour.